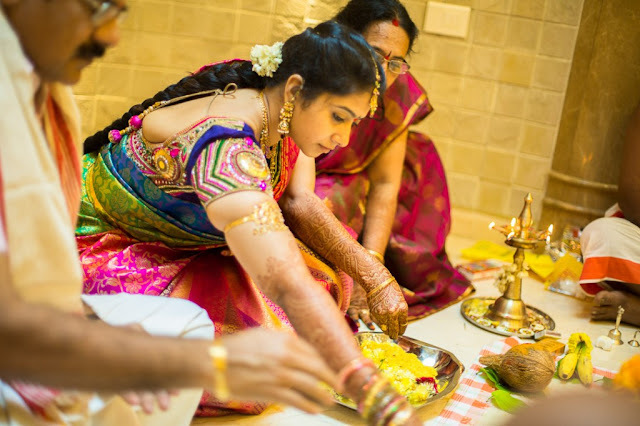 Mukta Event Managers is the best Wedding Planner in Hyderabad. A wedding event is synonymous with Logistics, Catering, Stress, and Chaos usually overwhelming everybody involved. Meant to be such a special occasion in everyone's lives, however, there is an unimaginable amount of run-around and coordination activities before the D-day. When we Mukta Event Managers , a One-Stop-Wedding-Shop take over, we bring to you an enormous network of vendors for all services, giving you access to high quality, reliable service. No hassles dealing and haggling with individual suppliers, we do it all for you. And so, we take the stress out of the wedding management for you by becoming the one point of contact to talk to while we manage the various vendors. We work closely with you and your families to develop a wedding that is uniquely yours, reflecting your personality and individual taste. Whether you wish for a small and intimate affair, a large scale royal wedding, we will make your event special and memorable and most importantly one of a kind. Our wedding planning services caters to all budgets. What you get here is the professionalism of a wedding planner minus the cost of their service.With our experience in Indian wedding planning and our extensive network of wedding vendors, we ensure your wedding day is stress free and enjoyable for you and your family. Our preferred vendors offer you special discounted prices for services that would not otherwise be available to a layman. Now, that is more savings in your wedding than if you had handled it individually.And that's only some of the many benefits of having us as part of your wedding!